In March 2015 BUJ Architects, in collaboration with Ash Sakula, received a MIPIM Future Projects Award 2015 for Wickside. The project creates a high quality mixed-use development with defined clusters of creative and active uses spread throughout the site. Wickside will provide more than 450 new homes, work spaces, studios, galleries, restaurants and event space. 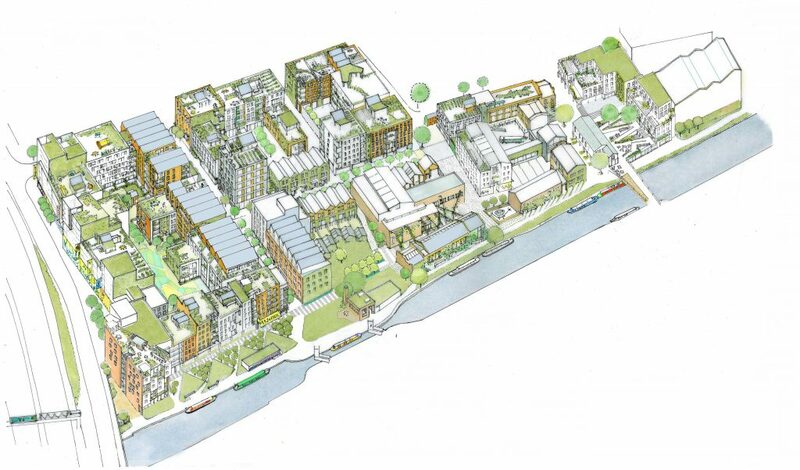 This diverse development will be linked with a new linear park that runs along the canal connecting Victoria Park and the Olympic Park.